Blizzard Hacks - World of Warcraft Diablo Starcraft: WOW: Easy Iron/Gold ore, mining 125-200. WOW: Easy Iron/Gold ore, mining 125-200. While skilling mining, I found something interesting in the western plaguelands. Right there is "a" vein, but its actually not just one vein, its 5 to 8 veins in one. They respawn every 3-6 minutes (i guess it depends on how much is mined in the zone) and varies from 4 to 8 veins. A lot of gold spawns there (which is worth some gold on my server), and its very easy to skill mining from 125 to 225(?) there, while being afk and just mining every few minutes. I tried it on 2 different servers, so i guess its on every server. There may be some other spots where this happens, keep your eyes open. 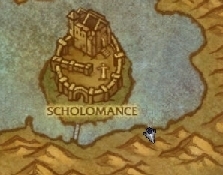 As I navigate through the Western plaguelands, I found out that there are about 200-250 Gold planted on that zone.